I use my netbook (Samsung NC10) despite it’s age still on a regular basis. Even though the case has some quirks and I had to use tape to fix the hinge covers – the device still works fine and a charge of the battery is still sufficient for a couple of hours of mobile use. Anyway recently there was a problem with the Windows installation, so I considered trying Linux (again) as I don’t need any applications on the netbook which are not available for Linux. 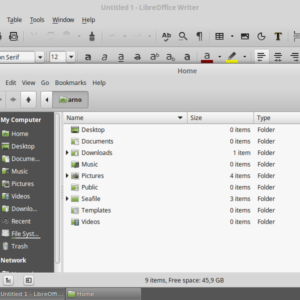 You get an e-mail client as well as a web browser, LibreOffice and Seafile for Linux. 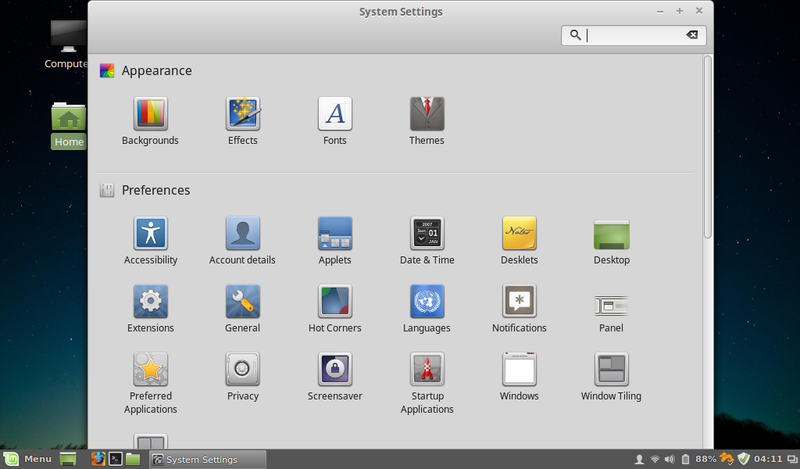 After doing some research I also found Linux Mint, which is based on Debian and Ubuntu and already exists for many years. 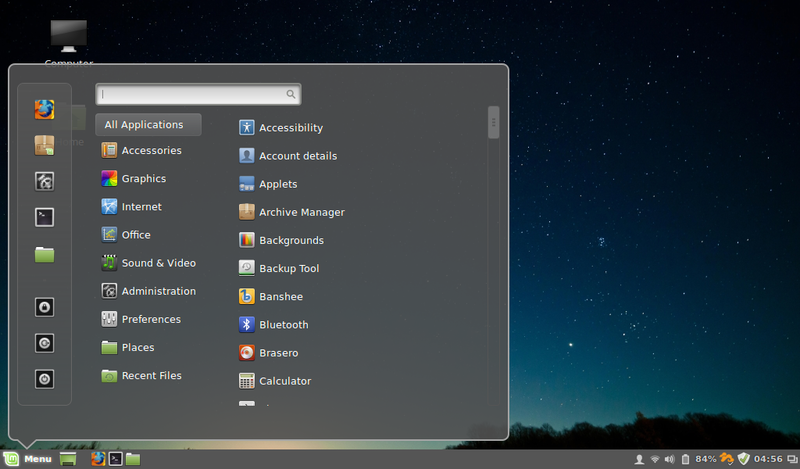 You can get Linux Mint in different versions, with “Cinnamon” as desktop but also with MATE, KDE or Xfce. I decided to use the “Cinnamon” version. 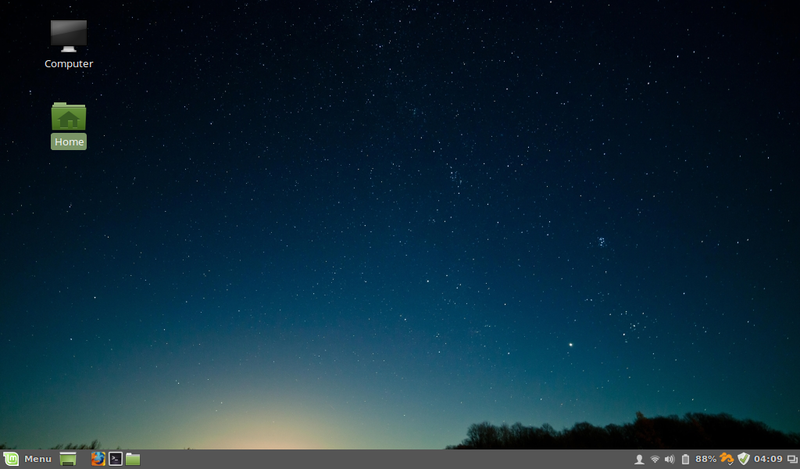 This desktop was developed as part of Linux Mint and the look and feel with start menu and taskbar follows Windows. Even the typical keyboard shortcuts of Windows exists as for example the “Windows” key to open the start menu or [Windows]-E to run the file manager (“Explorer”). [Alt]-[Tab] to switch between applications is also not missing as well as [Alt]-[F4] to close a window. 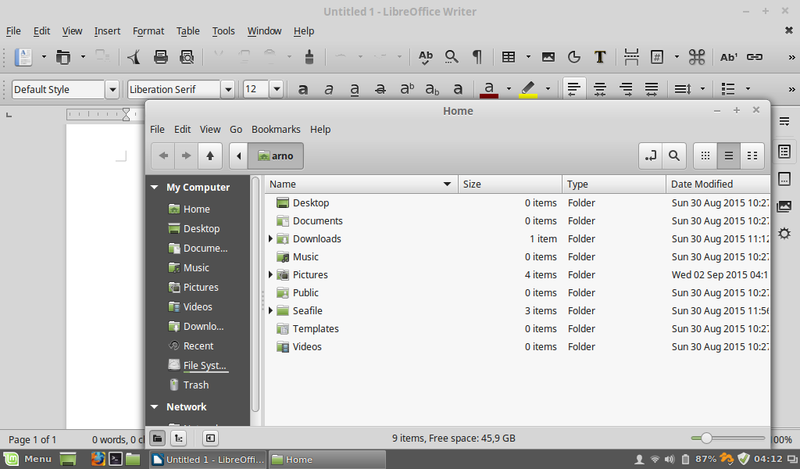 If you are familiar to Windows you will get along in Linux Mint quite well. 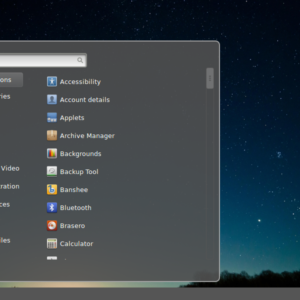 Visually Linux Mint with Cinnamon looks like a mixture between OS X and Windows 7 and also works quite well with the limited resolution of the Samsung NC10 of 1024×600 pixels. 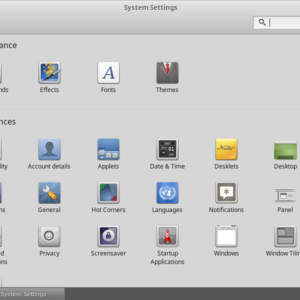 If you don’t like the deskop as provided you can always change it – Linux does not force you to use a specific desktop environment. The Samsung NC10 is now about 6 years old and therefore I did not expect any major issue due to missing drivers. Actually the whole hardware was recognized and is usable which also includes the LAN and WiFi connections and the function keys to adjust the display brightness and the volume. Hibernate also works reliable so the netbook is usable within seconds when turning it on. Generally I can use my Android smartphone via tethering when I’m on the move to get the netbook connected to the internet. However this does not improve the already quite limited runtime of the smartphones battery as it then has to provide the UMTS connection and the WiFi access point at the same time. So it’s technically possible but a compromise in practice. The better solution is a separate “surf stick” with it’s own SIM card for data connections only. These are available quite cheap now. I decided to use a TP-Link MA260 which also provides a slot to use microSD cards besides data connections via HSPA+, so it can be used as a memory device as well. 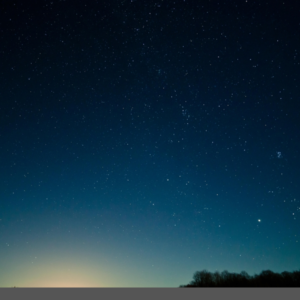 Even though it is designed to be used with Windows it also works with Linux Mint 17.2 without any problems – after connecting it the UMTS adapter was recognized and after setting the mobile provider (which sets parameters like the APN accordingly) it was usable. I already tried Linux on the Samsung NC10 back in 2010. At that time the device was still quite new and the hardware was not fully supported by the common Linux distributions as it is today. Fortunately this has changed: Linux Mint 17.2 is a fully-fledged alternative to Windows on the netbook and is usable quite fluid even on the old hardware. If you just want to try it you can also start it from an external boot media like a DVD or an USB memory stick and test it before installing it permanently.